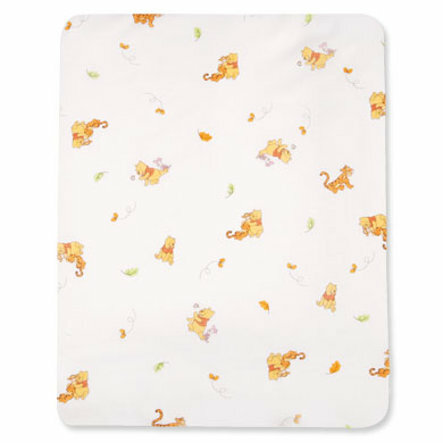 This cuddly baby blanket with adorable Winnie the Pooh print and baby friendly colors is a practical companion at home and on the go. The edges of the blanket are serged to last long. This 75/90 cm blanket can be washed at up to 30°C and is Öko-Tex Standard certified. "Pooh and His Friends" brings charm into your child's room.